Escape the everyday with weekend getaways in Europe. Sometimes all we need is a European getaway. It’s not only a change of scenery, but a chance to be immersed in a different culture or try new activities. Justin and I were actually chatting about this today. Some of our greatest memories together are wandering around brand new lands. There’s a sense of wonderment; there’s a whole new world out there to explore. Now, we don’t always have an infinite amount of vacation days or money to jet all over Europe. However, you can cover a lot of ground over a weekend in Europe (or an extended holiday weekend). 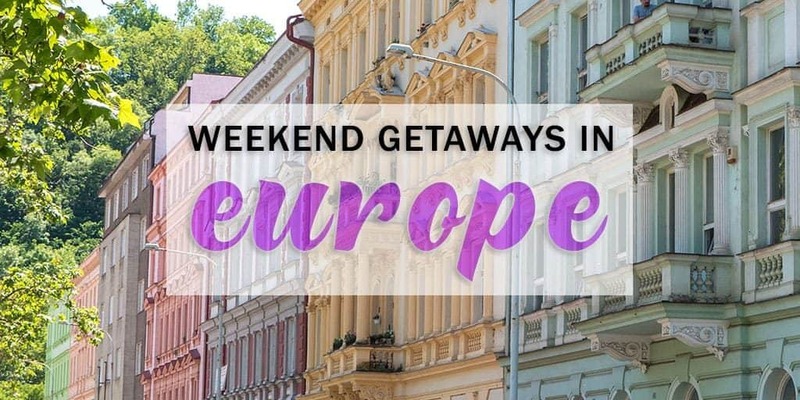 Here are my suggestions for the best weekend getaways in Europe. London is one of those cities where a weekend will only scrape the surface, but it’s much better than not visiting at all. 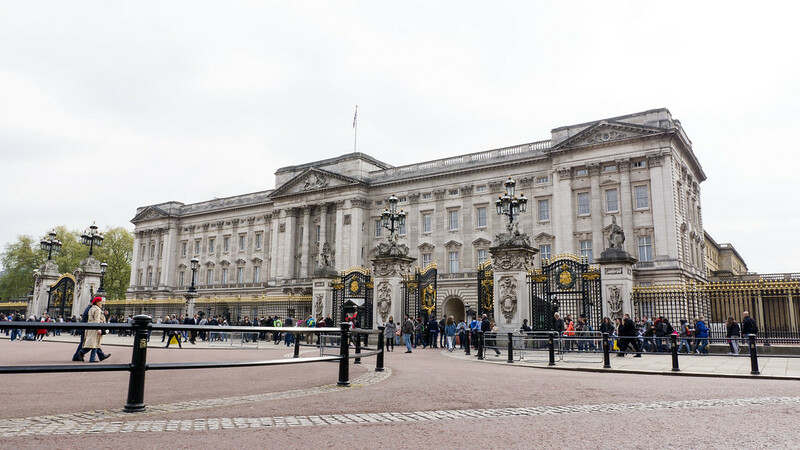 If it’s your first time to London, some weekend break ideas could include tourist attractions like Big Ben (by the way, you’ve gotta check out Big Ben’s unofficial Twitter account), Buckingham Palace, Westminster Abbey, and the London Eye. For something slightly alternative, check out the street art scattered around the city or take a Harry Potter tour. Shop until you drop, whether it’s at high end designer stores or local markets. If you prefer smaller towns or more natural areas around England, you’ll have to check out my guide to the 25 best places to visit in England for tons of ways to spend a weekend trip in Europe. It will be easy to fill a weekend with things to do in Edinburgh, Scotland, especially if you’re a history lover. Make a trip to Edinburgh Castle and the National Museum of Scotland. Hike to the top of Arthur’s Seat for amazing views of the city. Wander around Dean Village for a picturesque stroll away from the crowds. 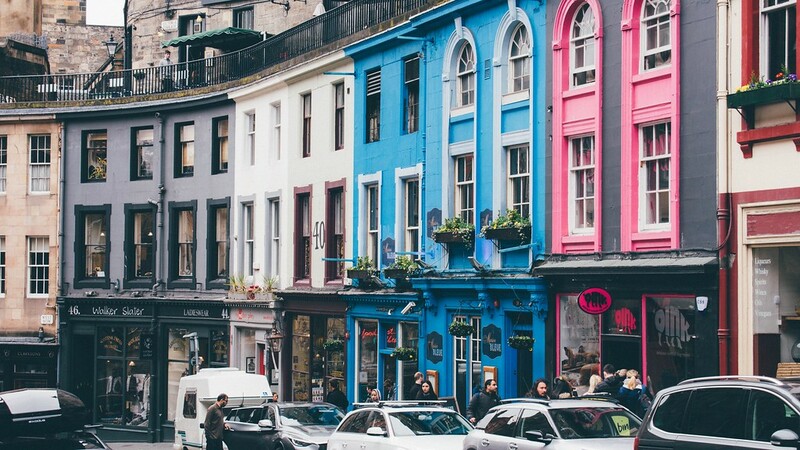 A weekend in Edinburgh will only leave you wanting more. If you’re seeking a unique adventure during your weekend in Europe, why not try exploring Britain in your own boat? Traveling by narrowboat is a journey and an accommodation all in one. Spend the night on the boat and hop off for activities along the way. There are thousands of canal routes in the United Kingdom waiting for you. While we spent two weeks in Iceland, a weekend in Reykjavik is a total dream trip. 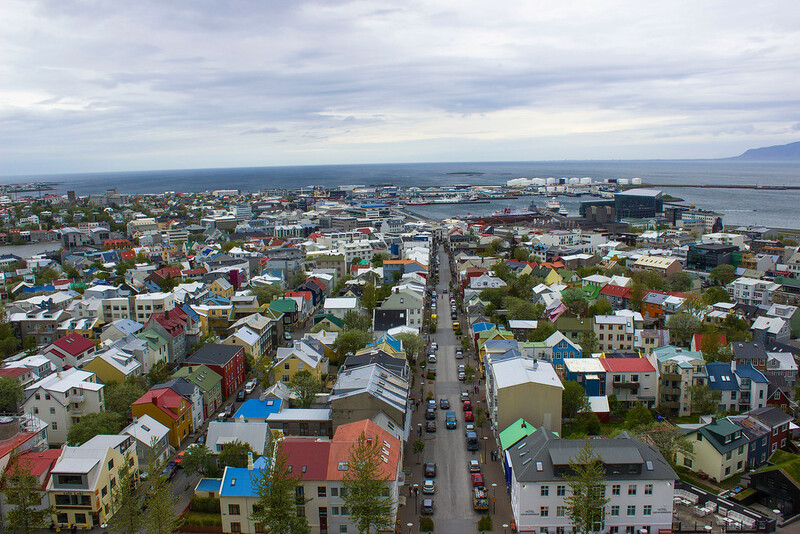 From the colorful rows of houses to the views from the top of Hallgrimskirkja, you’ll fall in love with this northern city. 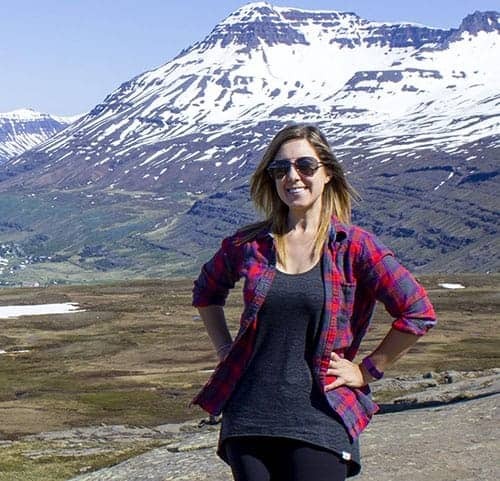 I recommend that you spend one day in Reykjavik, and spend your second day soaking up the natural beauty of the country. The Golden Circle is a short distance from Reykjavik, making the perfect day trip. If you find yourself with a third day in Iceland, you have a few options. Travel west to the Snaefellsnes Peninsula to admire Iceland’s most famous mountain or drive south to marvel at waterfalls and black sand beaches. No matter how you spend your days, you’ll fall in love with this spectacular land of fire and ice. Copenhagen is one of the best weekend getaways in Europe. I recently spent three days in Copenhagen on a solo trip and loved every moment of it. Even in the winter, Copenhagen is a wonderful city to explore. 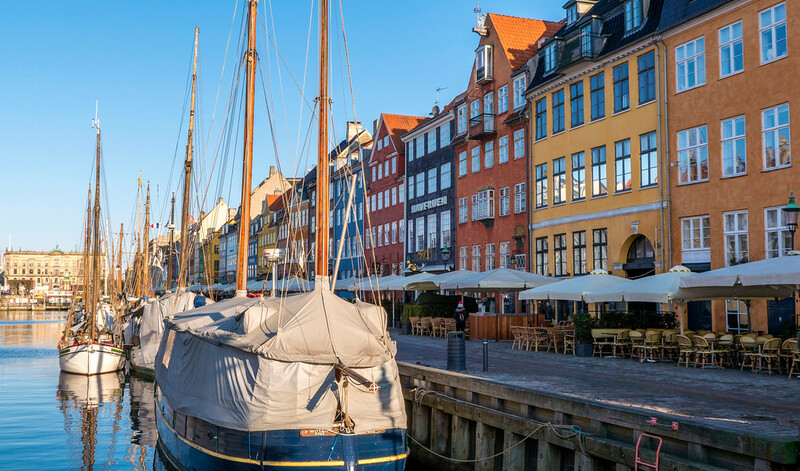 Stroll along the canals and colorful buildings at Nyhavn. Take a canal boat tour to familiarize yourself with the city and learn some interesting facts. Then, wander all over town to discover the palaces, the buildings, and the neighborhoods. Climb to the top of the round tower for magnificent views of the city. Stop for coffee and enjoy it on the patios, even in the winter (there are heaters and blankets for you!). Spend an hour or two walking around Freetown Christiania, the self-proclaimed autonomous district within Copenhagen. There are lots of yummy vegan options in Copenhagen. The city is expensive overall, including restaurants, but I enjoyed my meals there. Even the 7-11 has vegan croissants if you’re looking for an inexpensive snack. There are so many towns and cities in Germany that would make great weekend getaways in Europe. While I suggest Berlin, I could easily have told you to head to Munich, Heidelberg, or any number of small towns in Germany. You really can’t go wrong – I love Germany! While a weekend in Berlin is one of the best European city breaks, it isn’t enough time to properly see the whole city. So, you’ll see as much as you can, and then you’ll go back again and again. Berlin is a city in flux; it’s always changing and adapting. There are many wonderful neighborhoods in Berlin where you can spend your time. Explore the alternative side of Berlin by riding a bike around town, taking in the street art and public art as you go. Justin and I really enjoyed spending a couple of hours at the computer museum for something a little bit quirky and different. Berlin is the vegan capital of the world, so it’s easy to find so much delicious food (and you’re spoiled for choice as it’s hard to narrow down where to eat). A trip to Strasbourg is like stepping into a fairy tale. It’s one of my favorite weekend getaways in Europe. 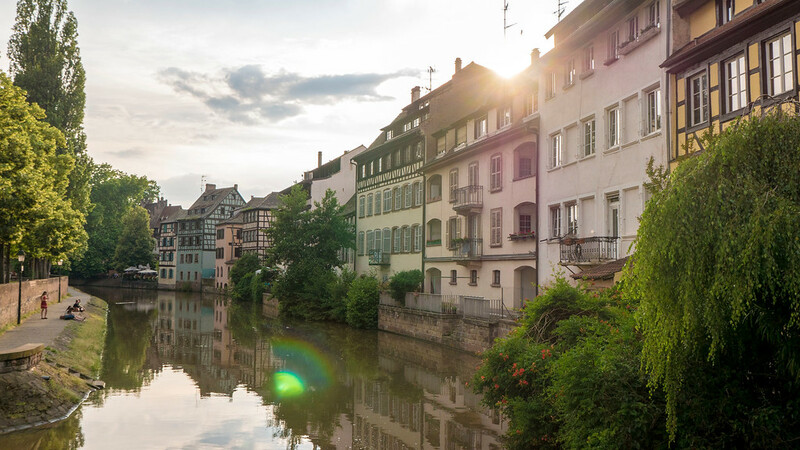 While you could potentially pair your trip to Strasbourg with a day trip to nearby Colmar, we ended up spending both of our days in Strasbourg to experience it fully and more slowly. Be sure to walk around Petite France, an area of town with quaint half-timbered houses and a gently flowing river through the middle of it. Marvel at the architecture of the Cathedral Notre Dame de Strasbourg and climb up to the top for epic views. We also ate tons of delicious vegan food at several restaurants in Strasbourg. Justin and I were surprised to find so many plant-based options and vegan eateries in the city. Krakow, Poland might not be on your bucket list, but it’s one of my top choices for weekend getaways in Europe. A free walking tour will help you get acquainted with the city, so I recommend starting your day with this activity. 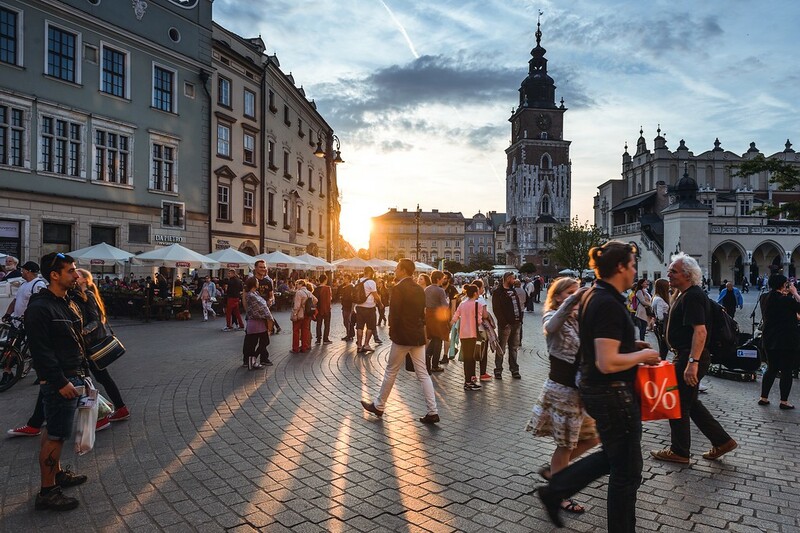 Take a stroll through the main town square (the Rynek Glowny) and marvel at the town hall tower. The Wawel Royal Castle is the main tourist attraction in town, so it’s somewhere worth visiting when you travel to Krakow. Set aside a few hours to go up to the castle and walk around the grounds. If you’re seeking a day trip outside of the city center, go to the Wieliczka Salt Mine. A main highlight of the tour is St. Kinga’s Chapel is an underground temple made of salt. 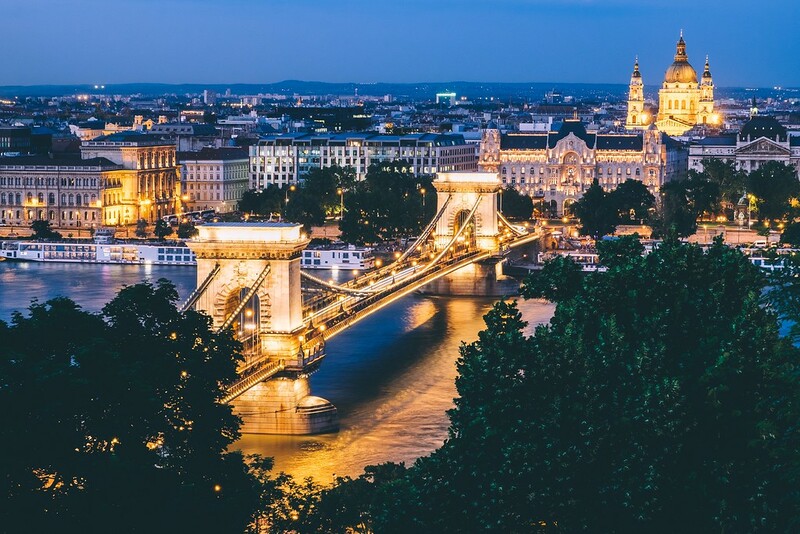 Holidays to Budapest are growing in popularity, and rightfully so: it’s a beautiful city with excellent food and beer, and it’s also very budget-friendly. 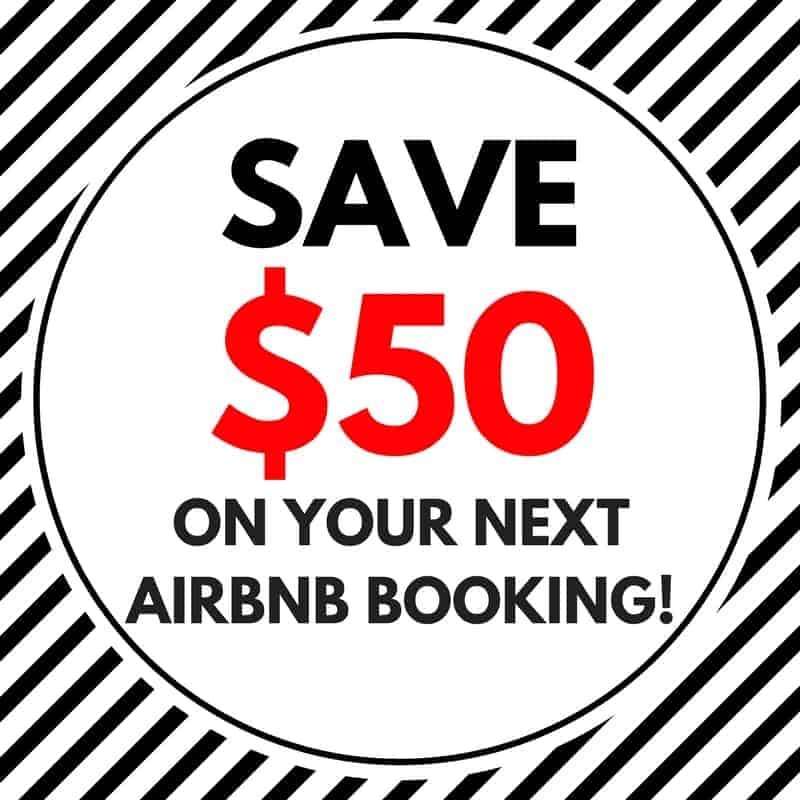 You can take a river cruise on the Danube River, relax in the Széchenyi baths, or ride the funicular to Buda Castle. Visiting around Christmastime is a magical experience with the Budapest Christmas Market. If you’re seeking unique things to do in Budapest, hit up a ruin bar. They’re in abandoned buildings left behind after World War II. Take a pub crawl of ruin bars to check out several of them because they’re all different in their own way. Ah, Florence. Justin and I quickly fell in love with this Italian city. While it’s one of the greatest weekend getaways in Europe, you might want to invest a little more time in the region. We spent five days in Florence and Tuscany, and it still wasn’t enough. 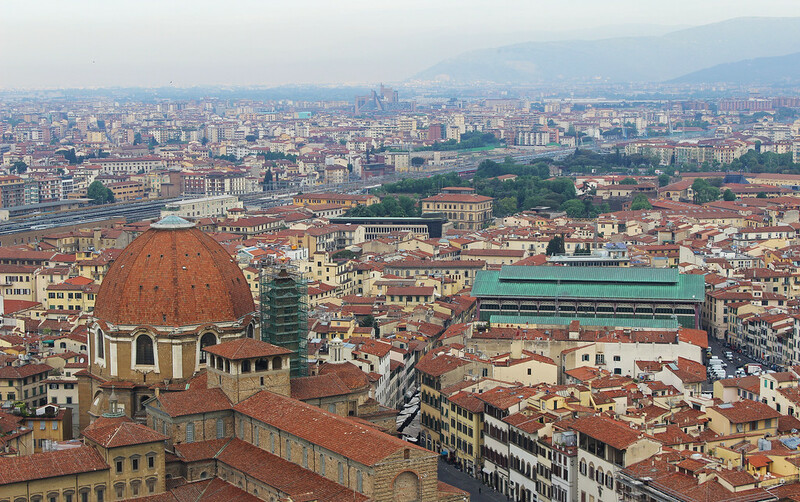 You should spend at least three days in Florence as it’s one of the best European city breaks, but you can get by with two if your time is limited. Some must visit places in Florence include: the Duomo (you can’t miss this gigantic and elaborate church in the middle of the city), MIchaelangelo’s David statue (it’s so iconic), and of course, eating all of the gelato that you can. After all, it’s Italy and one of the main draws is the delicious cuisine. When Justin and I arrived in Bern, Switzerland, we decided that we should move there. We really fell in love with this city. It’s scenic, safe, and clean. The turquoise river that runs through Bern is pretty and exciting (you can go tubing down it! ), and we adored wandering through the old town. 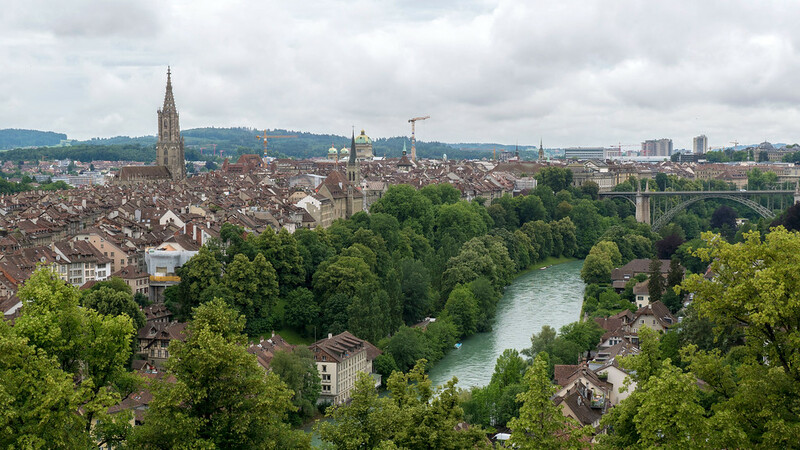 One of our favorite things to do in Bern was take the funicular to the top of the city’s mountain for stunning views. Another place to admire the view is from Bern’s Rose Garden, which is pretty beautiful in its own right. If you’re going to Bern on a weekend trip to Europe, you can combine it with a day trip to the nearby small towns of Thun and Spiez. The public transportation system in Bern is amazing, and it’s easy to travel anywhere in Switzerland by train. 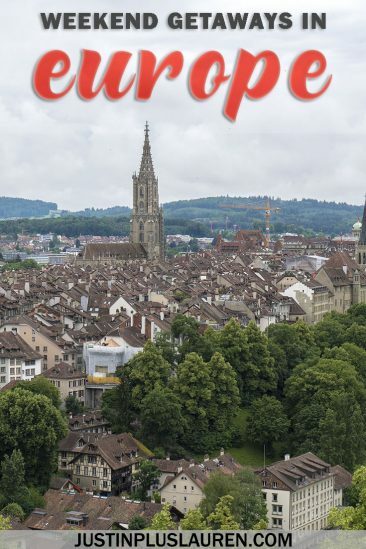 Check out 5 spectacular things to do in Bern for one day, and see the neighboring surroundings using Bern as your base. St. Petersburg is one of the best cultural cities in Europe, from its art and architecture to its theaters and museums. It’s a relatively compact city where you can explore its charming canals and manicured parks by foot. You’ll be amazed by the colorful and intricate architectural details at the Church of the Saviour on Spilled Blood. 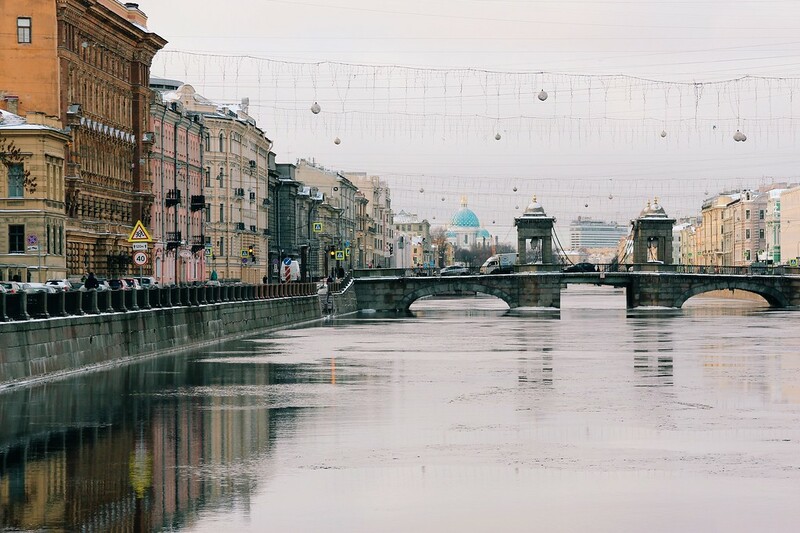 Take a cruise on the Neva River to see the city from alternative perspectives. The State Hermitage Museum is the second largest museum in the world with over 3 million pieces of art. Needless to say, a trip to St. Petersburg is one of the ultimate weekend getaways in Europe and you’ll want to visit again and again. Remember that in most cases, you’ll have to apply and secure a visa for Russia. Citizens of the United Kingdom will need to obtain a Russian visa ahead of their trip, which can be easily secured online by filling out an application form. Zagreb is the capital of Croatia and it’s a great spot for weekend getaways in Europe. 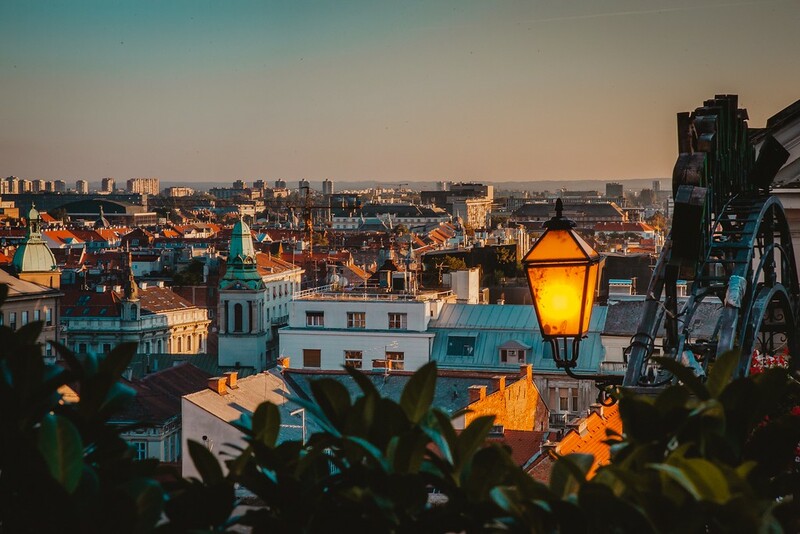 While there are a number of Croatian cities that would make for awesome European getaways, I’ll focus on Zagreb in this article. It’s the perfect city to walk around, check out its parks, visit a museum, go to a farmers market, or simply sip a cup of coffee on a patio. Zagreb’s Upper Town is perched on the Medvednica Mountain where you’ll find memorable attractions like the Lotrscak tower, St. Marc Church, and the Museum of Broken Relationships. Yes, that’s an actual museum and a very interesting and quirky one at that! Dublin, Ireland is one of my favorite weekend break ideas as there’s a good mix of history, culture, and food/drink to discover. 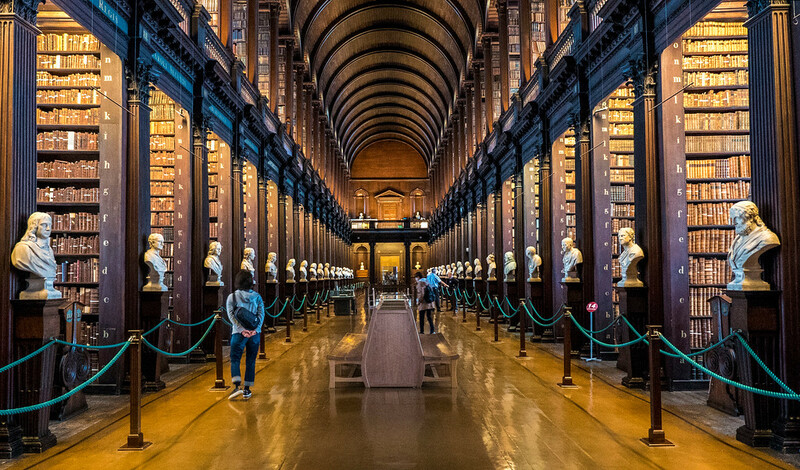 First, make a trip to the Trinity College Library to gaze at the old books and breathe in the smell of old books (go first thing in the morning for fewer crowds). Then, walk all over Dublin to see the Temple Bar neighborhood (and the bar itself), as well as street art down narrow alleyways behind the pubs. You’ll want to make a trip to the Guinness Storehouse as it’s an informative and fun beer museum that spans several floors. At the end, sip a pint of Guinness while taking in the panoramic city views. Here’s my guide to spending the day in Dublin, though you can easily spend the entire weekend there. For a day trip outside of the city, head to Newgrange and Bru Na Boinne for a trip back in time to an ancient Irish passage tomb. 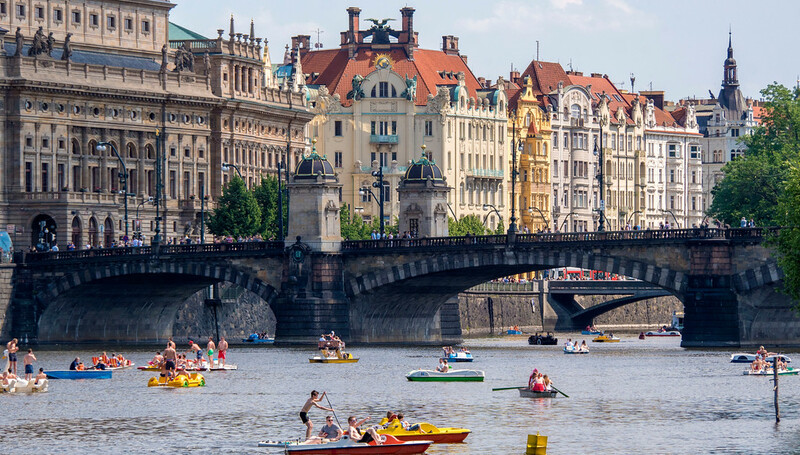 If you’re seeking interesting and delightful weekend getaways in Europe, don’t miss a trip to Prague. Justin and I stayed in Prague for three days, and it still wasn’t enough time. But, you can get a good feel for the city in a short amount of time. Stroll around Old Town to see famous sights like the astronomical clock. Wander around the various city parks for some of the best scenery of Prague. Walk the Charles Bridge, but I recommend doing it really early in the morning (otherwise, it is mobbed with crowds). 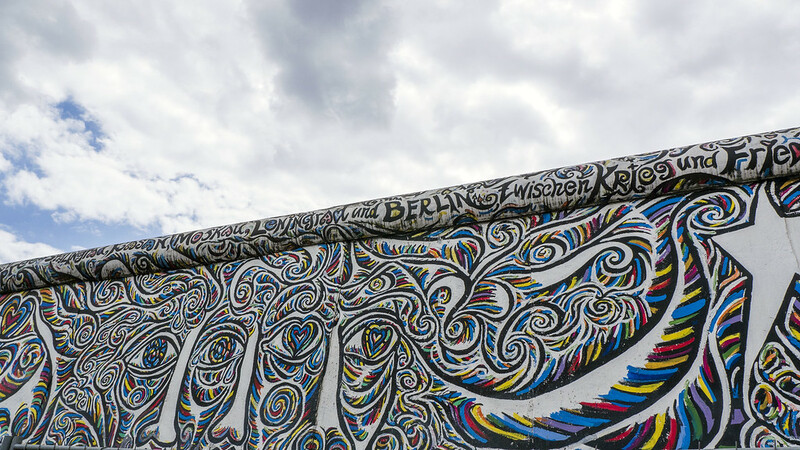 Check out the famous John Lennon wall for intriguing and colorful street art. Finally, have a few pints at one of the local beer gardens to wrap up your weekend. Beer and food is relatively inexpensive in Prague, so you’ll easily stay on budget. We loved having a few drinks at the Riegrovy Sady beer garden. Perched up on the hill, it was also a great spot to watch the sunset. 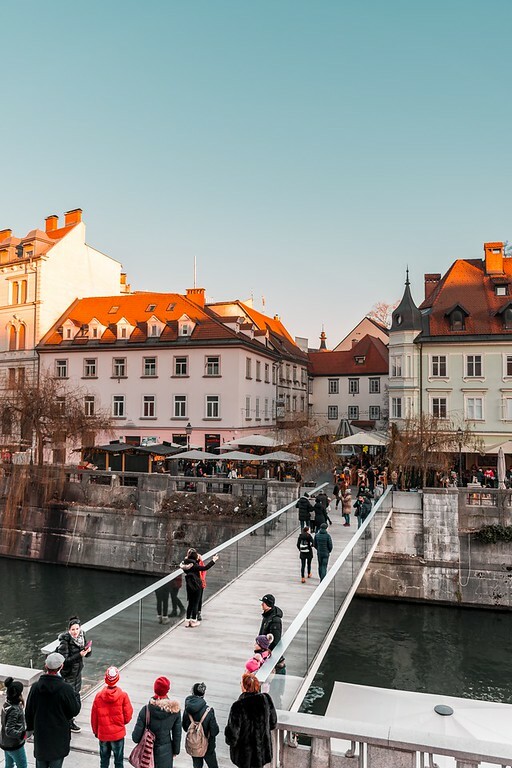 Ljubljana, Slovenia might not be the first city that comes to mind for a weekend trip in Europe, but you should definitely put it on your list. It is a very walkable place to visit, which are always my favorite. Wander across one of several bridges in town, including Butcher’s Bridge with its love locks and the dragons of Dragon Bridge. The city is full of street art, so walk around and see which murals and public art you’ll discover. While I love slowly walking around new places, you can also opt to go for a bike ride in Ljubljana. There are tons of paved bike paths, making it quicker to get from point A to point B. For the best sweeping views of Ljubljana, ride to the top of the Neboticnik skyscraper to admire the scenery with a beverage of your choice. I truly fell in love with Salzburg, even if it did rain for most of my visit there. It didn’t even matter. I went to an Austria Tourism event not too long ago, and seeing images of Salzburg truly brought joy to my life. In terms of weekend getaways in Europe, spend at least one of your weekends in Salzburg and you won’t regret it. Mirabell Gardens opens bright and early in the morning, so take a stroll through the roses and plants first thing. 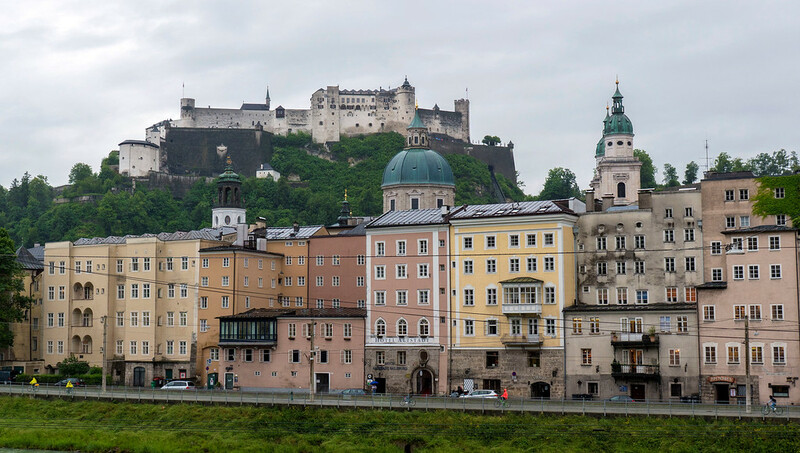 Next, take the funicular up the hill to Hohensalzburg Fortress to walk the castle grounds and admire the city scenery. At night, watch a show at the Salzburg Marionette Theatre for a unique experience you won’t see anywhere else. We saw the Sound of Music, as performed by marionettes, and it was such an immersive production. Here’s our travel guide to Salzburg, Austria for more ideas. If there’s one place that you need to see in your lifetime, it’s Venice, Italy. Yes, I’ve included two Italian destinations on this list because I love Italy so much. While Venice is limiting the amount of visitors because it’s so popular, I recommend visiting in the off season or at least during the spring or fall for a less crowded and more positive experience. Regardless, Venice is such a magical place. You need to simply get lost wandering around the canals and narrow cobblestone streets. 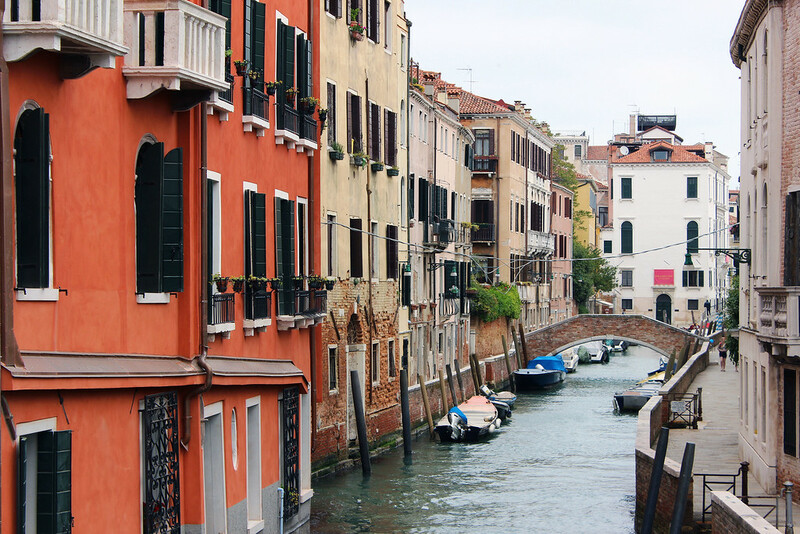 From St. Mark’s Square to the neighboring islands of Burano and Murano, you’ll easily fill up two or three days taking in the sights and sounds of Venice. Here’s my three day travel guide to Venice for some more suggestions. I also recommend familiarizing yourself with the Venice transportation system before you go. Visiting Porto in a weekend might be a challenge due to the number of things to see, but I think Porto is one of the best European city breaks. 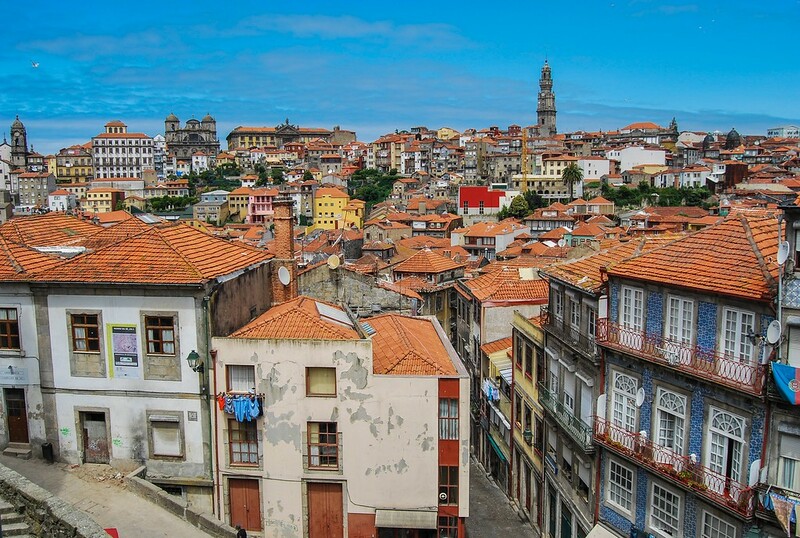 Plan to visit Ribeira, the old town that’s also a UNESCO World Heritage Site. If the weather is warm, head to Foz for its seaside beaches to soak up the sunshine. For brilliant scenery in a peaceful setting, wander around the Crystal Palace Gardens for landscaped greenery overlooking the Douro River. And when in Porto, you must sample the Port wine on a patio or visit some of the wine cellars on a tasting tour. Learn about the history of wine making in Portugal and sample some of the finest Port wine. 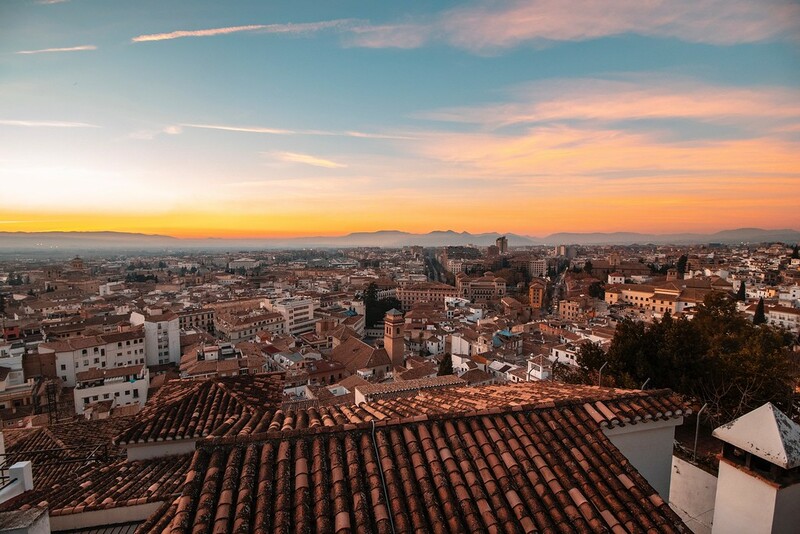 Granada in southern Spain is the perfect choice for weekend getaways in Europe if you’re a fan of history, architecture, and relaxation. There’s truly something for everyone in the crowd: culture lovers, foodies, and those who love to shop. One of the most famous attractions in town is the Alhambra, but entrance is limited so be sure to grab your ticket in advance. Be sure to explore the Albayzin Quarter, the traditional Muslim neighborhood, to gaze at the white buildings along narrow streets. The Arab style baths are a great way to let go of any tension, alternating between several pools of varying temperatures. At the end of the day, travel to the Mirador de San Nicolas for watch the sun go down. Finally, Amsterdam is a popular place for weekend getaways in Europe. It’s a beautiful city with canals to explore and museums to visit. Justin and I stayed in Amsterdam for two nights at the end of a two week jaunt to Europe, so it’s easily doable to see Amsterdam in a weekend. 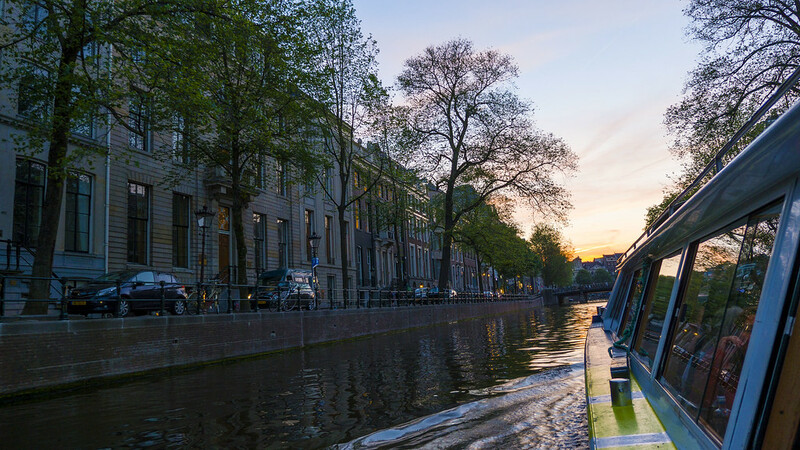 Take a canal boat ride at sunset to see the city from a new perspective with a cocktail in your hand. Wander across many bridges or ride a bike all over the city. The possibilities are endless! Looking for more travel inspiration? Check out the best traditional and unique places to stay in Europe! 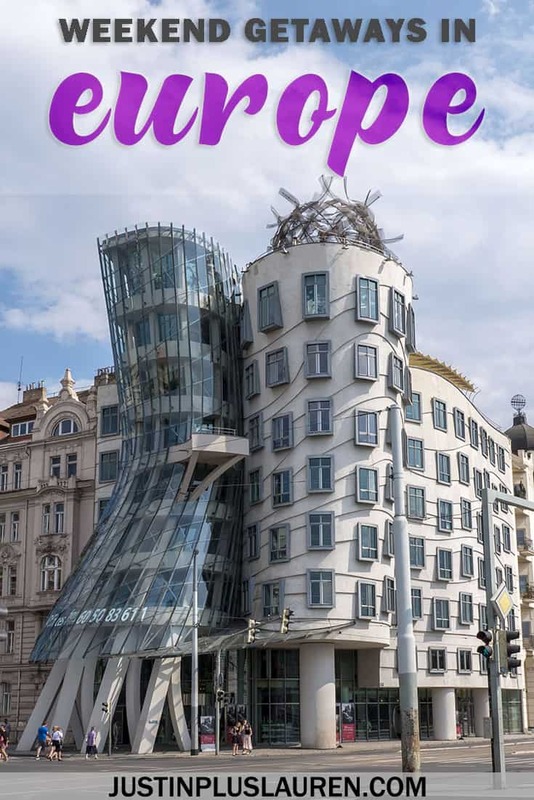 Hopefully, I’ve provided you with loads of ideas for weekend getaways in Europe. There are so many cities and towns to explore, so why not hop all over the continent? There’s so much culture, history, architecture, art, and food to please all of your senses. 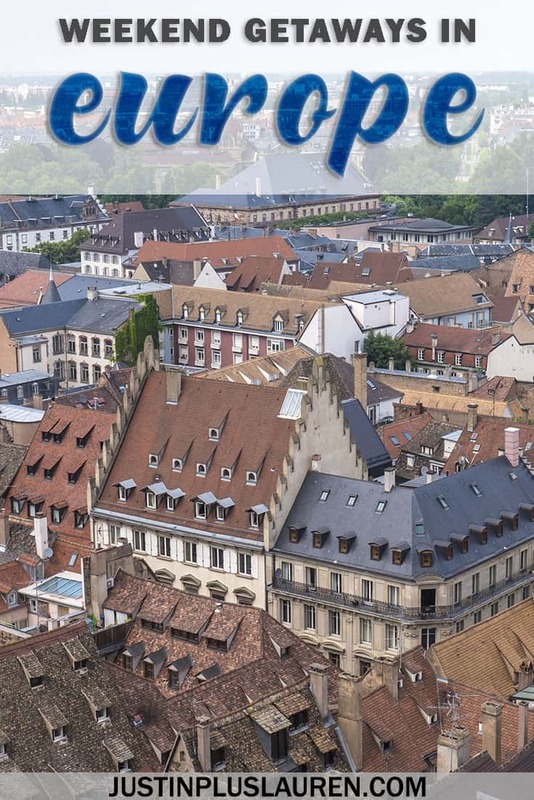 Travel really enriches our lives in so many ways, so be sure to fit in as many European city breaks as possible. PIN one of the images above to Pinterest for future reference. Click the top left corner of each image. What are your favorite weekend getaways in Europe? What do you suggest for the best weekend in Europe?